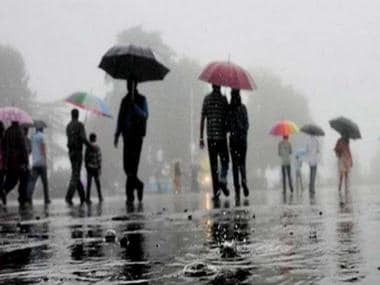 New Delhi: Monsoon woes gripped several parts of north India today as heavy rains wreaked havoc in the hill states of Uttarakhand and Himachal Pradesh, leaving over 50 people dead and hundreds stranded, while several parts in Haryana were flooded after water level of Yamuna rose alarmingly. Flashfloods in the Ganga and its tributaries triggered by incessant rains for over 48 hours left a trail of death and devastation across Uttarakhand killing 30 people, injuring 19 and damaging 164 buildings. 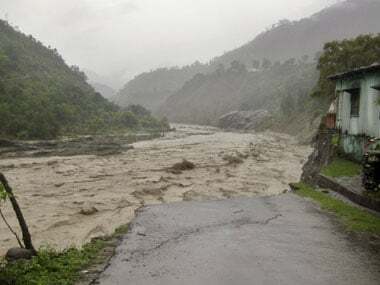 Seven persons went missing and five vehicles including a chopper were swept away in the heavy showers which are still continuing at a number of places across the state, Disaster Management authorities in Dehradun said. At least 15 people were killed in different incidents in Uttar Pradesh as flash floods lashed Saharanpur district following incessant rainfalls in neighbouring Uttarakhand. IG (Law and order) R K Vishkarma said nearly 45 people were stranded due to the flash floods and were airlifted from Sarsava airbase to safer places by Air Force helicopters. In Himachal Pradesh, a high alert was sounded and army assistance was sought for rescue operations in the tribal border district of Kinnaur as incessant rains and snow wreaked havoc in the region, killing 10 people and damaging property worth crores of rupees. Five members of a family, including three children, were buried alive when boulders fell on their house while five others were killed in landslides in three other places. Kinnaur district was cut off from the state from Tapri onwards as most of the approach roads and Hindustan-Tibet National highway was blocked at several places due landslides and about 1,700 people were stranded. Over 700 people, including Chief Minister Virbhadra Singh who was campaigning in the area for Mandi Lok Sabha by-poll slated for June 23, were stranded in the Sangla valley and assistance of army has been sought for rescue operations and airlifting them, state Chief Secretary S Roy said. "The Election Commission has given permission for evacuation of the chief minister by a state chopper but it could not land due to bad weather and returned," he said. About 25 foreigners and a Doordarshan team were also stranded in Kinnaur district. The disaster management cell of the army has been informed and it has already started preparations for launching the rescue operations in coordination with IAF and Army. In Uttarakhand, Rudraprayag bore the brunt of the disaster with a maximum of 20 people killed there. Two persons each were killed in Chamoli, Uttarkashi and Tehri districts whereas three were killed in Dehradun and one in Almora. A large number of structures including shrines, hotels, rest houses, commercial and residential buildings located close to Alaknanda caved in like a pack of cards in Rudraparayag district. Chief Minister Vijay Bahuguna who took information from district magistrates on the extent of damage caused by the flashfloods through video conferencing expressed grief at the loss of lives in the calamity describing it as "huge". Rescue operations are going on a war footing with the help of ITBP, BSF and the Army but the bad weather is a hindrance, he admitted. Char dam yatra and Mansarovar yatra through Uttarakhand have been suspended which will be resumed after the weather clears up, he said. 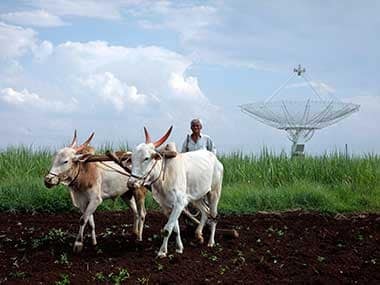 Arriving almost a fortnight in advance than its usual date, the southwest monsoon brought heavy rains in several parts of Haryana, particularly Yamunanagar district, where normal life was paralysed. Fifty-two people were rescued by the Army and NDRF as several parts were flooded after Yamuna river's level rose alarmingly, prompting the authorities to sound an alert. One hundred and fifty residents of the village Shergarh Tapu and 42 of Chandrao in district Karnal, who were also stranded due to floods, were also successfully got evacuated, officials said. Heavy showers in the national capital for the second consecutive day caused water-logging and traffic chaos in various parts. According to the MeT department, Delhi received 17.1 mm rains from 8.30 am to 5.30 pm. Earlier, during the last 24 hours ending at 8.30 am, rain gauges measured 58.5 mm. The city had received 36.6 mm of rains till 5.30 pm yesterday which were the first monsoon showers of the season. 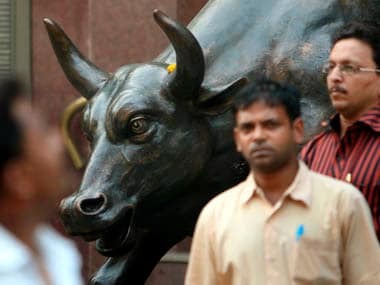 The day temperature in the national temperature dropped sharply today settling at 30.3 deg C which was nine notches below normal while the minimum temperature remained five notches below normal at 23.5 deg c.